The screws ‘naturally‘ become loose due to various constraints. These restraints being : a heavy axial load which leads to the falling of the materials, which then reduces the tension of the screw. The vibrations and shocks provoke very small movements and causes the rotation of the screws to unscrew. The change in temperatures incites differential expansion which can erase the tension in the assembling. For all these reasons, it is advised to secure all threaded assemblies by thread locking. By the bonding of threaded elements thanks to a micro-encapsulated adhesive which activates while mounting. 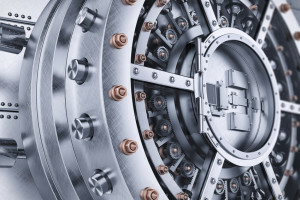 The locking obtained is standard for the Automotive and replaces the use of liquid thread lockers. 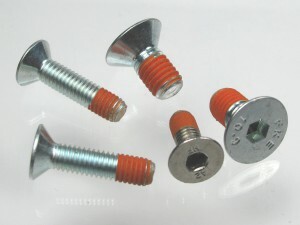 By increasing the friction during the assembling generated by a polyamide patch, which has been applied on the threads. The polyamide locking is less performant than bonding but enables to reposition the screw several times. The sealing performance can also be integrated to the locking function by pre-coating. The screws are then pre-coated by a sealing resin to replace a flat or toric joint under the screw head or to eliminate the sweating of the female thread. 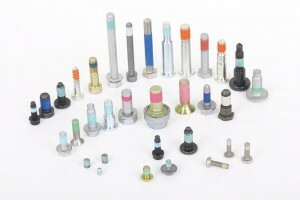 The seizing of the fasteners finds its solutions with pre-coating. The threads are then pre-coated with an anti-seize product that allows the mounting and dismounting of the assemblies under high load and temperature constraints.